meals are shared and laughter abounds. We asked some of our favorite food lovers to share stories of how cooking brings them joy. We invite you to come along and explore new flavors, recipes and the many ways to season every meal with joy. 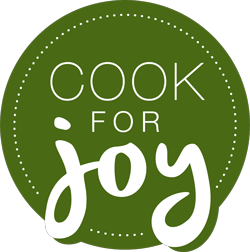 Share your #CookForJoy story and inspire others! Get a chance to win a set of Simply Organic spices and Le Creuset® cookware. Each time you purchase Simply Organic® herbs, spices, extracts & flavorings, sauces or seasoning mixes, you join with us in the joy of giving and become part of the good we do every day of the year — from our sustainable sourcing practices to our giving back locally, nationally and around the world.